In the past several weeks we have had around 12 inches of rain in the Belfast area. Our heavy clay soil lying underneath our amended clay loam holds water longer than any garden I have ever worked in. After every rain episode we need at least 4 days before students can reenter the garden without compacting the soil or being sucked in and losing their boots. 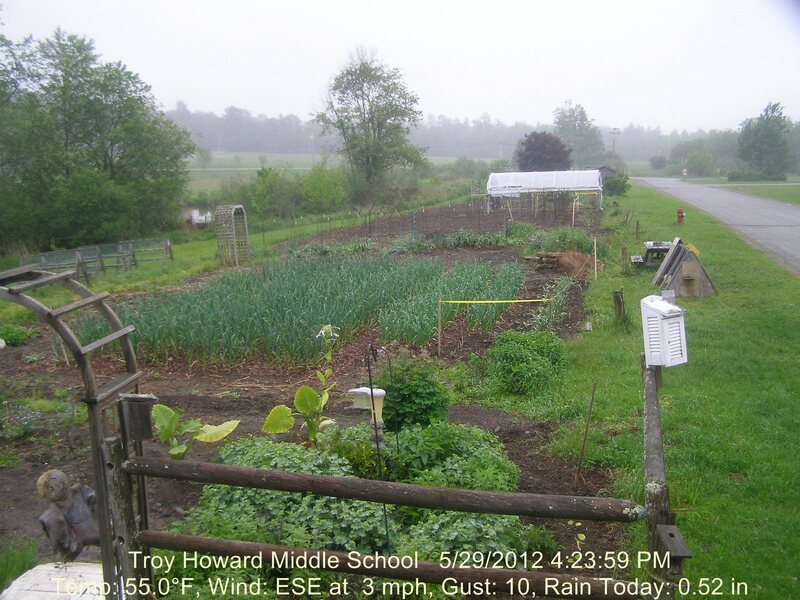 We got a one day break twice in the last two weeks and planted all the corn, tomatoes, peppers and brassicas. We planted the dry beans and potatoes under less than perfect conditions with an elementary school group. Hopefully next Monday we can plant the heirloom beans, squash, pumpkins and all the other odds and ends needed for next fall. Tuesday is the last day of school so we are cutting it really tight!